Sweet CHOCOLATE was surrendered because of landlord issues and now she needs some help. Please SHARE, she's SO precious she needs a FOSTER or ADOPTER NOW. 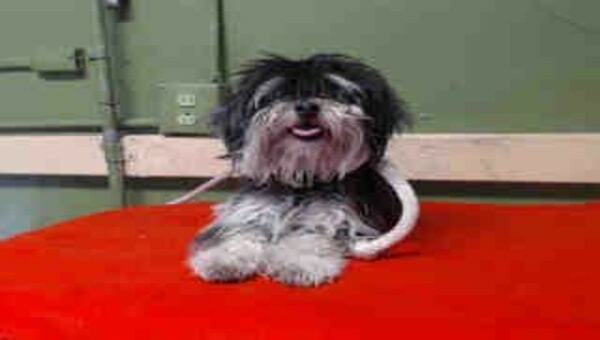 #A5155747 My name is CHOCOLATE and I'm an approximately 1 year old female Maltese. I am not yet spayed. I have been at the Carson Animal Care Center since 3/5. I will be available on 3/5. You can visit me at my temporary home at C204. My former family who owned me for about a year had to give me up because their landlord wouldn't allow me. But they said that I spend time indoors and outdoors. I seem to be good with small children. I have not been housetrained. I am good on a leash. I am just learning obedience skills. I seem to get along well with dogs. 0 Response to "They were her everything - but her owner traded her life for a shinny new home"